Featuring a revised performance fit construction Alpinestars’ GP Tech Suit continues to set the industry standard, incorporating the latest technological advances from Alpinestars F1, WEC and NASCAR race programs. 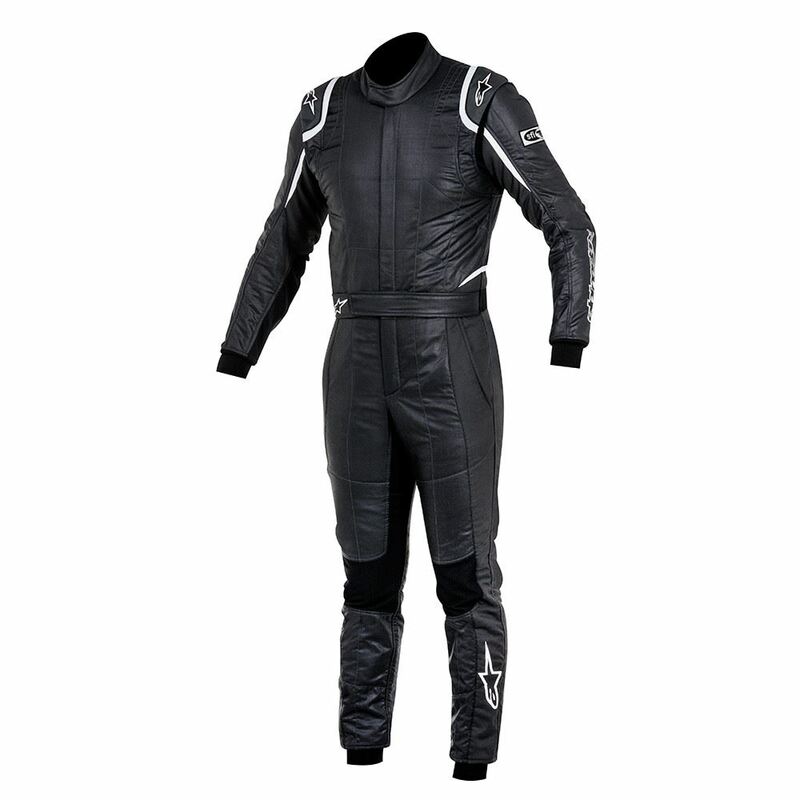 Ultra-lightweight and comfortable with innovative elbow and lower arm stretch panels, this FIA and SFI homologated racing suit offers unsurpassed performance, ergonomic fit and movement in the tight constraints of the cockpit. 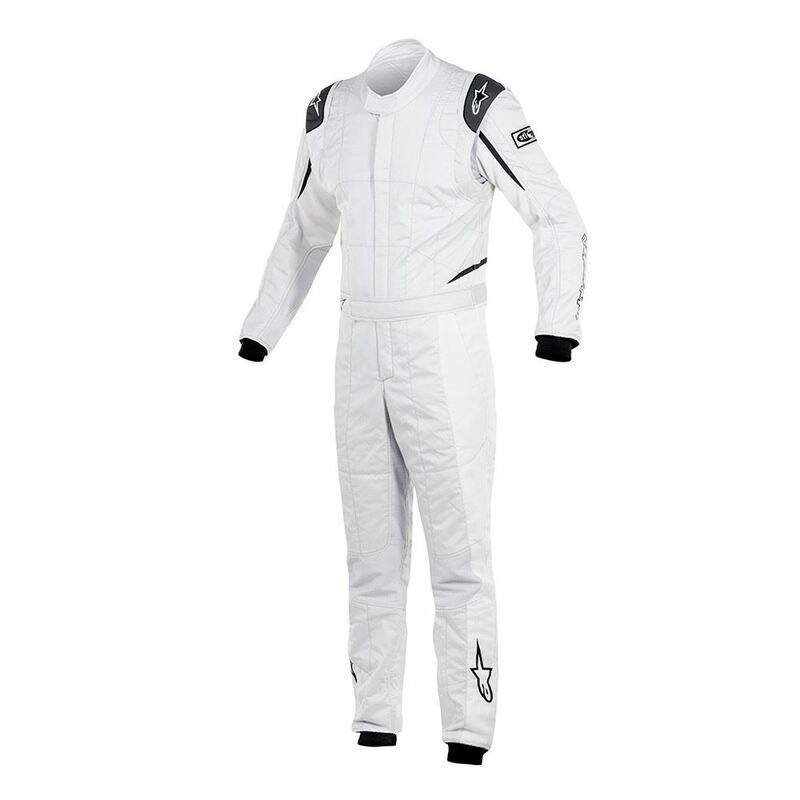 Ultra-lightweight, three-layer Nomex® construction provides the ultimate in performance and protection. Weight 275 gr/sqm. Strategically placed, highly breathable fabric inserts enhance body temperature regulation and moisture-wicking performance. 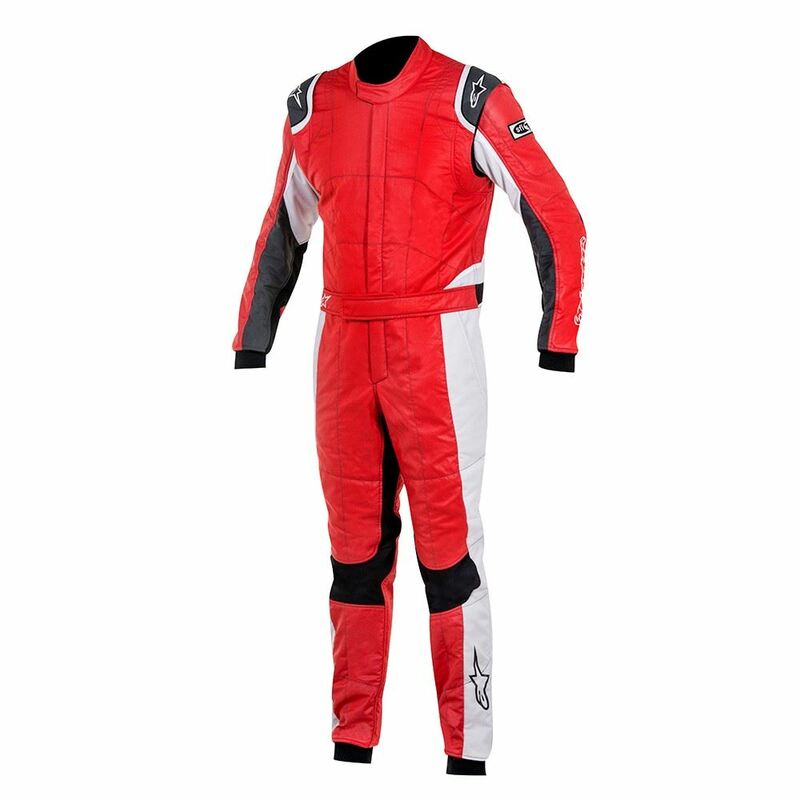 Alpinestars’ fully floating arm construction with stretchable knit fabric ensures minimal material resistance while driving. Revised performance fit construction for improved comfort; ergonomic shaping allows for tight-fitting garment. New elbow and lower inside-arm stretch panels allow for enhanced performance fit and comfort in the cockpit. Alpinestars patented central back stretch panel greatly enhances freedom of movement and helps maintain the suit’s fit while driving. Soft knit-fabric collar ensures a comfortable closure at the top of the suit. 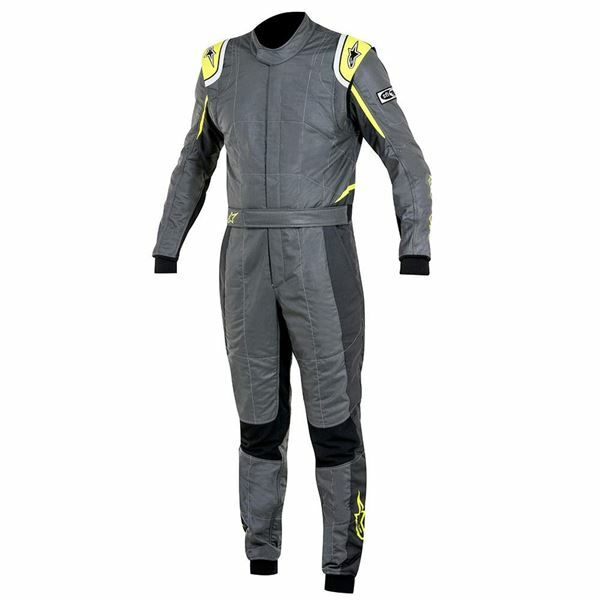 Fabric coverage on the shoulders allows comfortable placement of the HANS device, while ensuring minimal material bunching occurring under the device when racing.